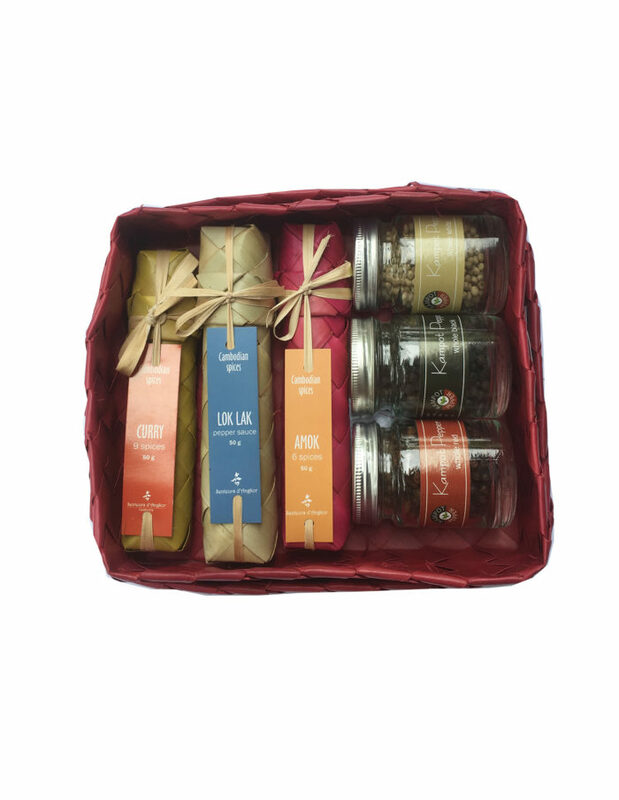 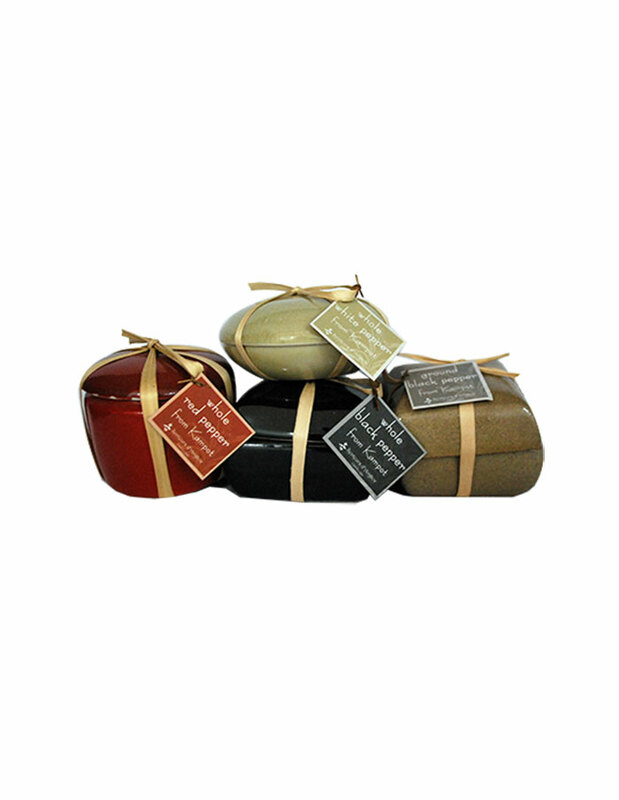 View basket “Spices gift set” has been added to your basket. 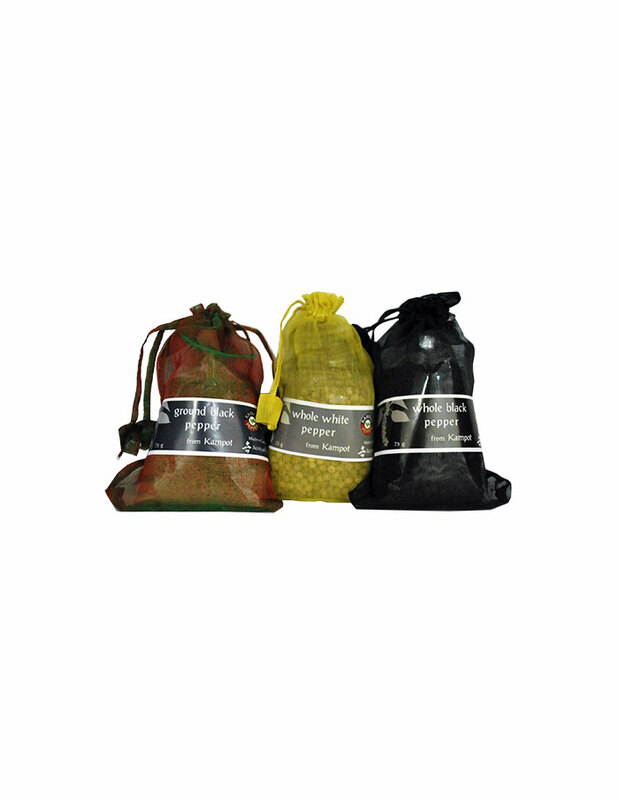 This set contains a pack of curry spice 50g, of lok lak spice 50g, of amok spice 50g and a glass pot of red Kampot pepper 40g, of black Kampot pepper 40g and of white Kampot pepper 40g ; all packed in a smok box. 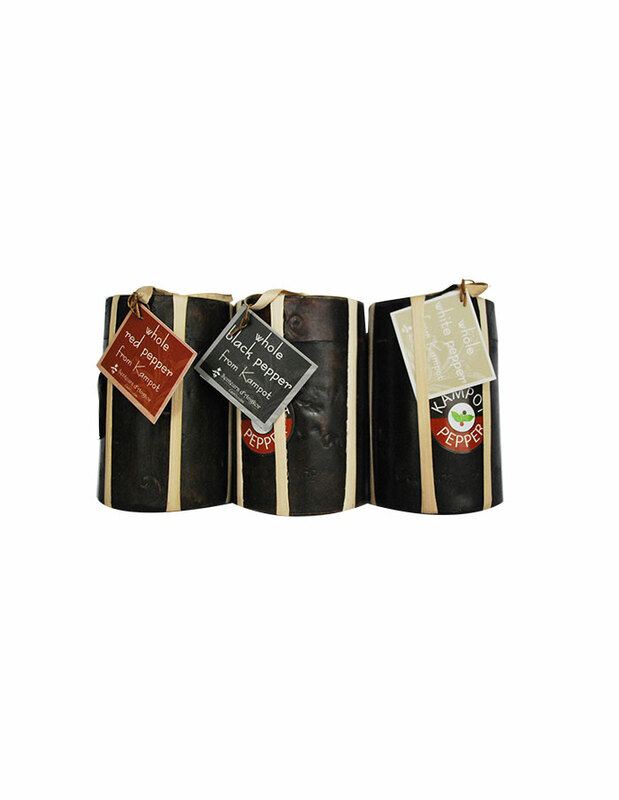 Kampot Pepper has been renowned for decades as one of the best peppers in the world. 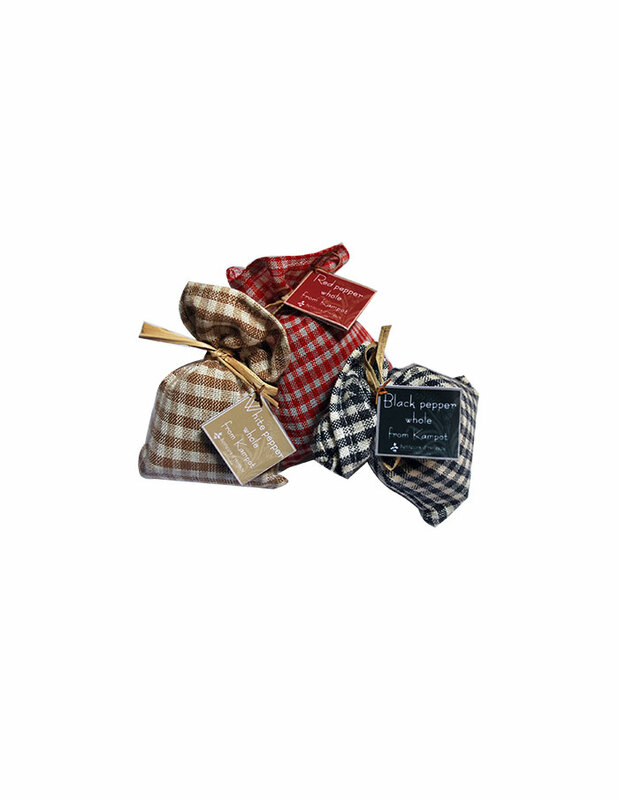 It develops an enthralling aroma, strong, delicate and aromatic. 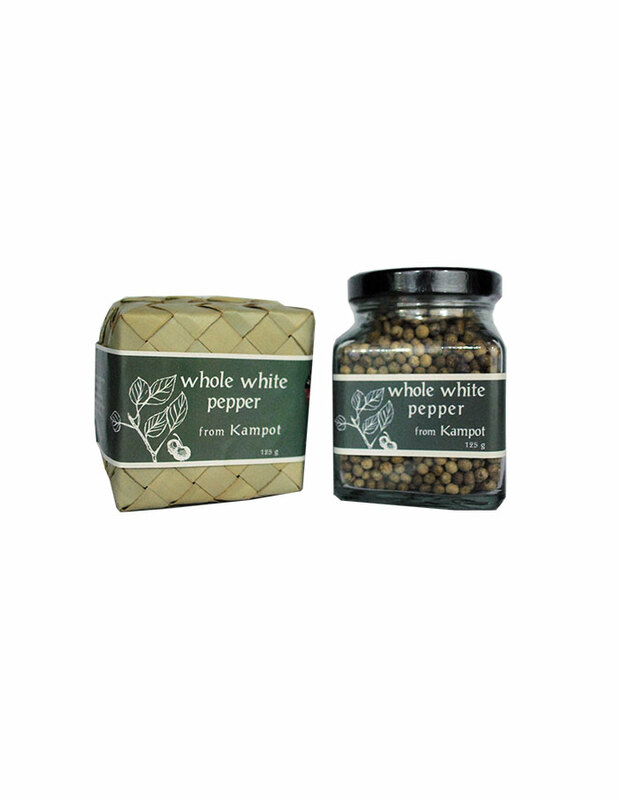 Obtained by soaking the red berries in water for a few days, the white pepper develops a delicate aroma. 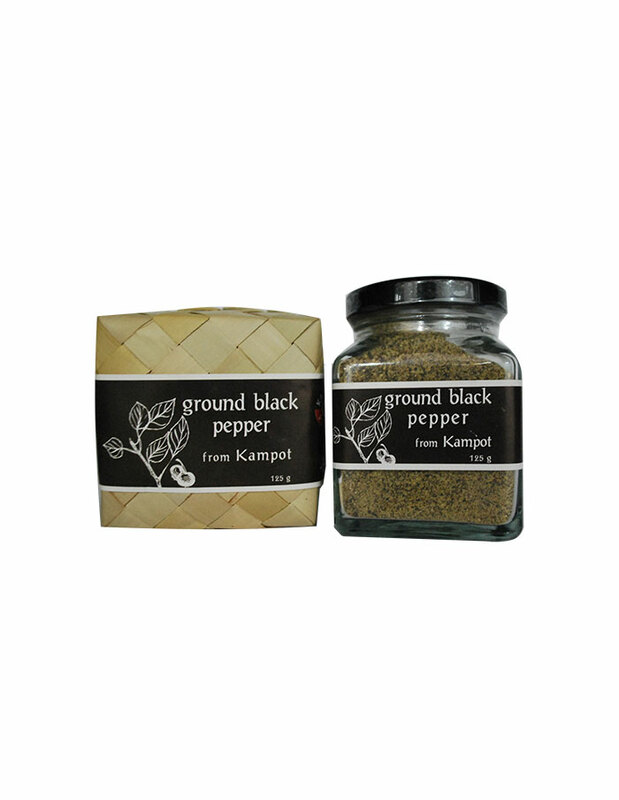 In April 2010, Kampot pepper has been recognized as the first Cambodian product to benefit from the status of Protected Geographical Indication (P.G.I.). 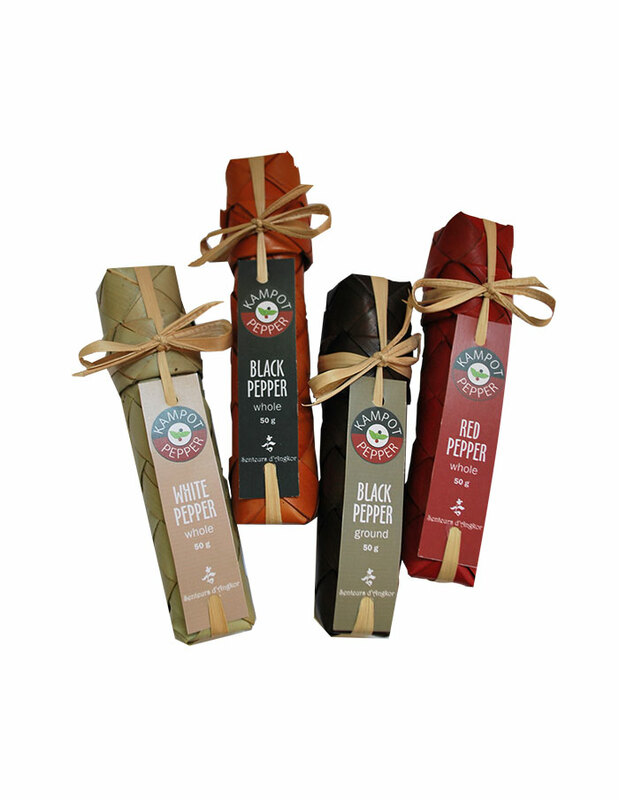 Senteurs d’Angkor as member of Kampot Pepper Promotion Association (KPPA) since its creation, strongly supports this initiative. 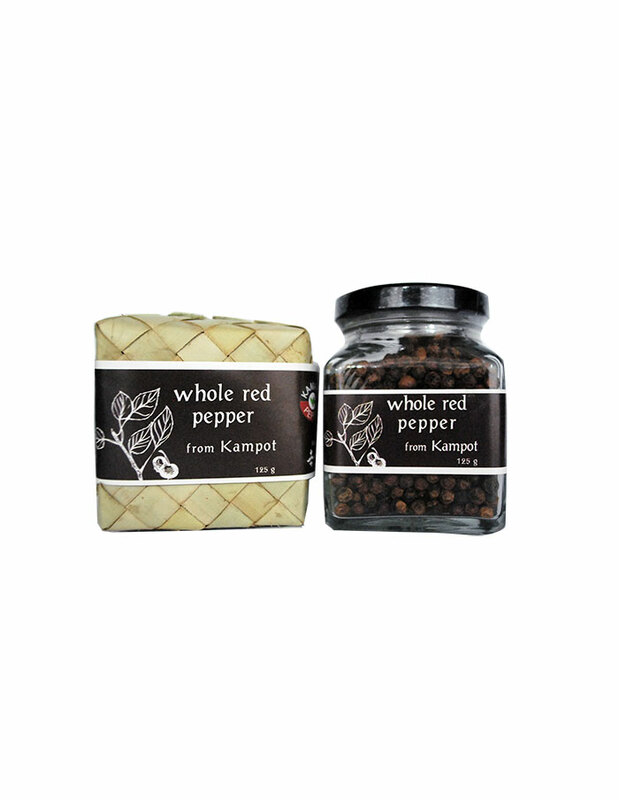 Kampot red pepper allows for the wildest combinations, from wild meat seasoning to vanilla desserts. 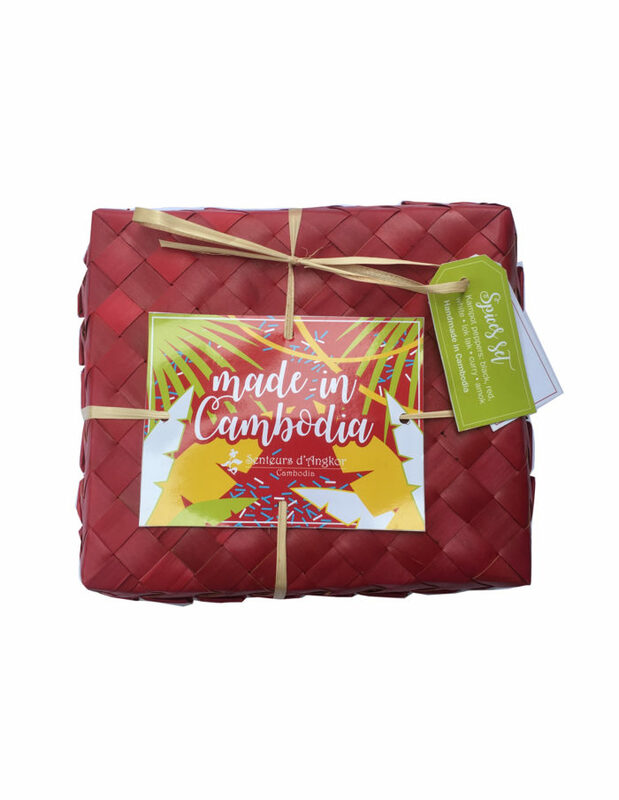 as the first Cambodian product to benefit from the status of Protected Geographical Indication (P.G.I.). 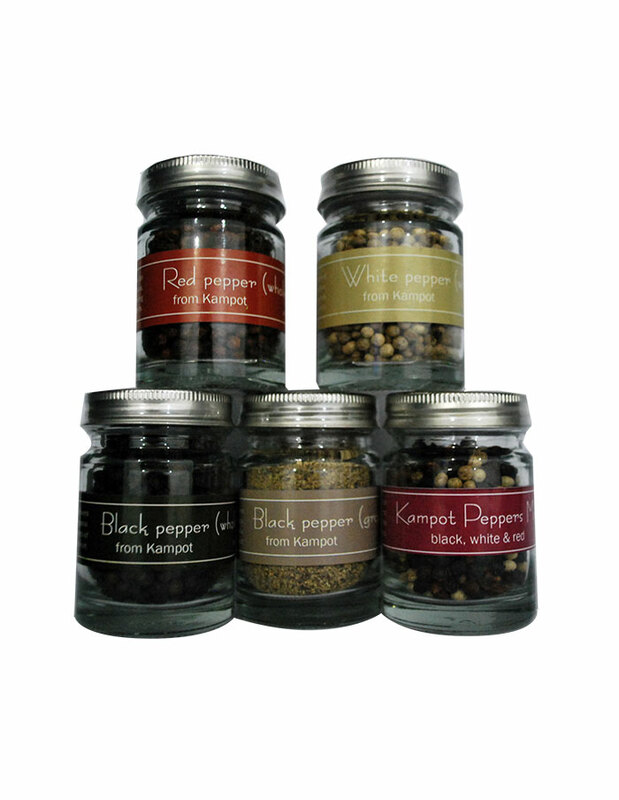 Senteurs d’Angkor as member of Kampot Pepper Promotion Association (KPPA) since its creation, strongly supports this initiative.